The Groodle is a cross between a purebred Poodle and a purebred Golden Retriever. Groodles can also be created by breeding a Groodle to a Poodle if the breeder is trying to achieve various coat colours. 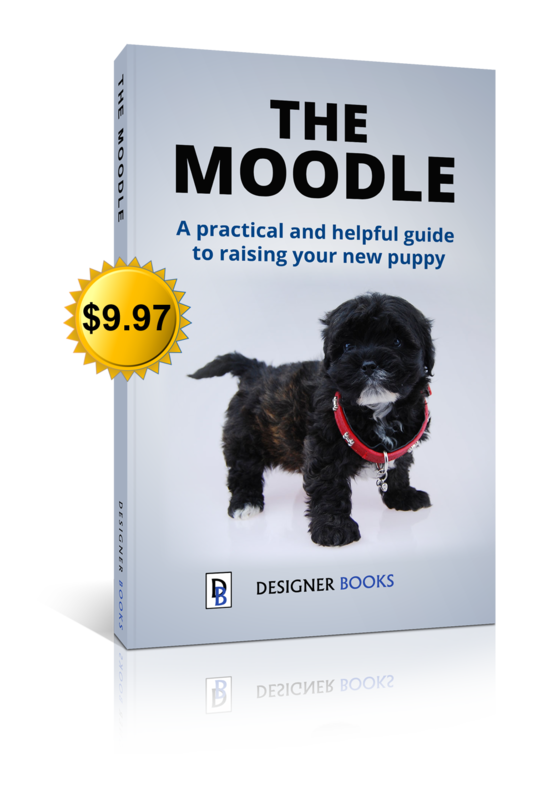 The Groodle is a family oriented dog like the Golden Retriever. The Groodle is not a hunting dog but does enjoy outdoor sports and activities. The most distinctive characteristic of Groodles are their temperaments as they are non-aggressive dogs who are friendly with both other animals and are quite tolerant of children’s rough play. 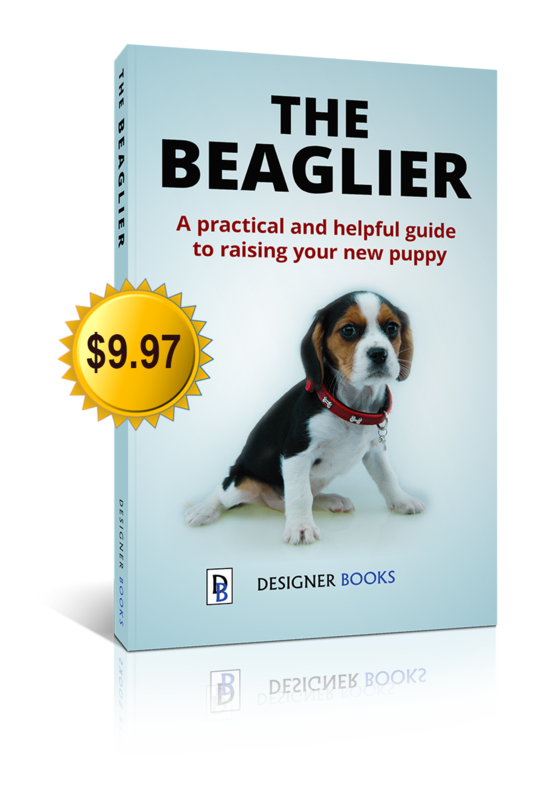 Shedding will differ between individual Groodles depending on the coat type so it is always best to seek a Groodle puppy from someone who can advise you on your puppy’s final coat type. Groodles are an overall healthy breed but Poodles do have a higher rate of PRA (Progressive Retinal Atrophy) than many other breeds of dog. PRA is a condition that leads to blindness later in life and can be DNA tested for. PRA is an autosomal recessive trait, meaning that both parents must carry the defective gene for any of their offspring to be affected. This means that all that is needed to prevent PRA in your Groodle is for one of your puppy’s parents to be DNA tested clear of PRA. Responsible Groodle breeders will test for PRA in their breeding programs. The appearance of Groodles may vary since its parents are two separate pure breeds, however, there are some characteristic of its appearance that are very common. The Groodle has a long, thick coat and can sport long or short ears that hang downward. The Groodle sports a full facial beard as an adult if left unclipped. The Groodle’s tail rides high up over its back and has a full plume. Often a Groodle’s facial expression makes them appear to be smiling. They are very similar in appearance to the Labradoodle and often most people cannot distinguish one from the other! Often but not always, they have a slightly wider muzzle than the Labradoodle and can also have a slightly heavier build. Many multi generational Groodles will often have some Labradoodle genetics in their background. 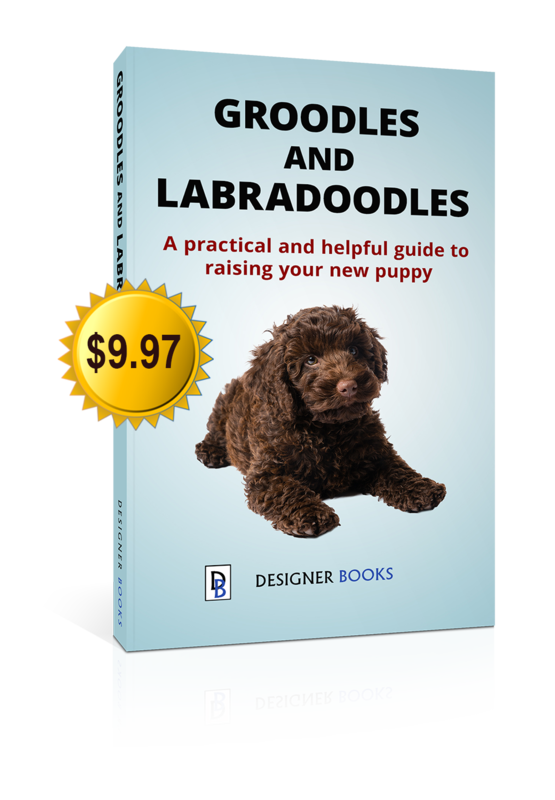 Breeders will often introduce Labradoodles into their breeding program in the early stages to increase the genetic robustness of their dogs while still keeping the excellent temperament of the Groodle. A Groodle’s coat can fall into one of three main categories. Groodles can have hair coats, fleece coats or woolly coats but often do have coats that will show characteristics of two of these categories. Hair coats will shed, although not as much as a Golden Retriever’s coat. Groodles with fleece or wool coats shed the least and often are virtually non-shedding. Again it is always best to seek a Groodle puppy from someone who can advise you on your puppy’s final coat type. The most distinctive characteristic of Groodles are their temperaments as they are non-aggressive dogs who are friendly with both other animals and are quite tolerant of children rough play. The Groodle is a dog who enjoys being active with its family but is also happy to be an indoor pet as well. The Groodle’s original purpose was to be a low shedding assistance dog and are suited to family life. Groodles have a calm and collected demeanour about them and their temperament is often described as “bomb proof”. The Groodle is an intelligent dog that adores human companionship and is suitable for homes with a small to large yard. They will appreciate regular exercise but will benefit from a walk, especially Groodles living in apartments or homes with small yards. As pups, Groodles tend to spend their time alternating between being active or lazily laying about the house and as they get older more of their time is spent sleeping. Groodles are just as comfortable whether living with an active family surrounded by kids or spending time on the couch with an older family watching TV. Groodles are usually single coloured but white markings on the face, chest and feet are quite common. Groodles come in red, cream, black and chocolate but they can come in any various shades of these colours. The amount of grooming required for a Groodle will depend on the type of coat. All coat types will require some grooming with the non-shedding Groodles also needing to be clipped as their fur does not fall out. Groodles with poodle like coats will need to be brushed more often than dogs with Golden Retriever like hair. Groodles, like all breeds with floppy ears, need to have their ears properly dried after their bath to avoid infections. 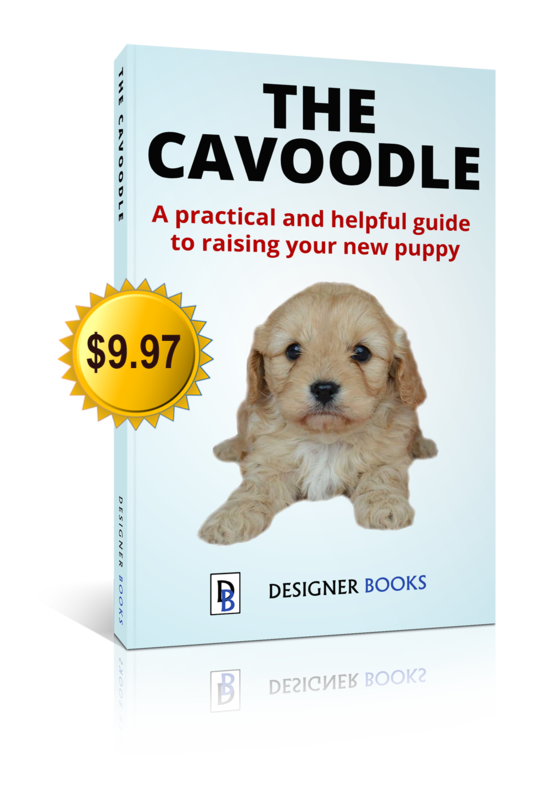 Both Poodles and Golden Retrievers which make up the Groodle are highly intelligent breeds and the Groodle is a very quick learner. This and their high food drive, makes training your Groodle easier than most breeds. Early socialization and obedience are recommended for all Groodles as they will grow into a medium to large breed so need good manners. The crate training method works well to house train Groodles as they prefer to go toilet away from where they sleep, but just be sure to let pups out from their crate as soon as possible. Groodles do not require harsh or heavy-handed training methods and learn much quicker with food rewards. Training must be done with firmness, fairness, patience, and consistency. A puppy’s attention wanes after long periods of time, so try to make training times short and fun. Also make sure your Groodle puppy will come when called in the backyard before going out to an unfenced area. Mini Groodles grow to between 35cm to 45cm at the shoulder as adults. Medium Groodles grow to between 45cm to 55cm at the shoulder as adults. Standard Groodles grow to between 50cm to 60cm at the shoulder as adults.